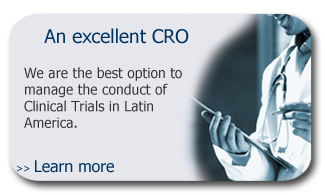 General Activities: Manages clinical investigational sites. Trains and provides direction to the investigators and the staff of the sites. Reviews, verifies and ensures that clinical documentation fulfils all protocol, GCP and regulatory requirements and maintains drug accountability. General Activities: Collects, analyses, manages, updates and keeps control of study documentation. 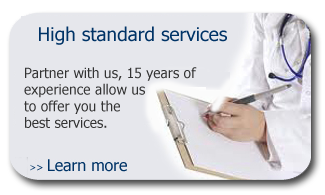 Provides support to investigational sites and CRAs. Reports, uploads and keeps updated information in computerized systems. General Activities: Generates productivity reports as to support business related needs. Works together with clinical operations to establish annual goals and timelines for the team and participates in communicating, implementing and keeping track of those goals and timelines. Controls information systems and ensures the proper creation and execution of data management activities. General Activities: Ensures control and security of Information and technologies according with SOPs and International and local regulations. Develops and maintains the information and communication framework required to properly support operations. General Activities: Management of clinical projects/programs which implies maintaining direct communication and interaction with sponsors, laboratories and supply chain services providers; tracking and reporting of project progress in all investigational sites; schedule, control and approval of site visits and trip reports, managing the financial aspects of the project; and managing the performance of the staff assigned to the project. 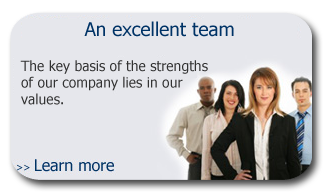 General Activities: Manages Quality Systems. Conducts requested for-cause and vendor audits. Lead the implementation of an ongoing Good Clinical Practices (GCPs) education program. Analyzes audit findings and work with Clinical Operations management to improve processes and ensure regulatory compliance. Leads the development and implementation of ongoing quality awareness and education program. Provide consulting on regulations and GCPs. General Activities: Performs submission according to local regulations. Keeps track of the progress of the approvals of the different requests made to the Ministries of Health. Implements regulatory processes, in a manner that avoids warnings or rejections of submission including those required to obtain protocol, site, marketing, and importation /exportation approval. Provides training to Clinical Operations personnel in regulatory matters in order to promote compliance with all applicable regulations. Monitor all Regulations in the region to maintain systems in compliance. MMATISS offers a wide range of professional development opportunities. If you are an outstanding professional and you’re interested in joining our team, do not hesitate to send your resume to the address described below.